This global distributor of food products for restaurants needed to protect the refrigerated items in their distribution center in the event of an outage. They were also looking to minimize the interruption to their scheduled deliveries. Tower installed a 750kw generator that will run the entire facility so there will be no interruption of service due to a local power outage. 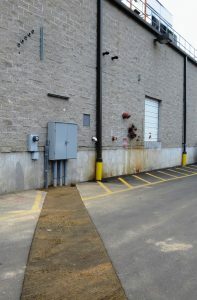 The project required a large generator pad and 55 feet of asphalt cut across the parking lot to the building. The 2000 amp cutler hammer transfer switch was previously installed in the building. The management and the customers served by this center can now be assured that their products will continue to be there when needed. 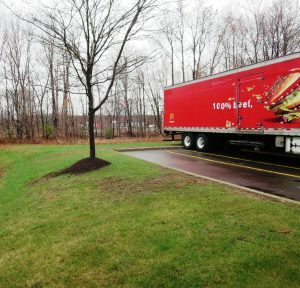 To enable the distribution of food products to flow uninterrupted so that restaurants throughout the region can operate as usual even when power is out in Enfield.